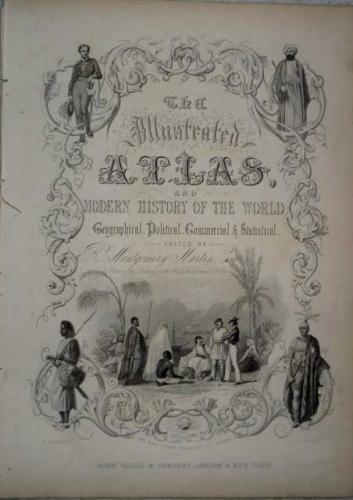 Title: 'The Illustrated Atlas and Modern History of the World'. The title page from the famous Tallis atlas, illustrated with indigenous scenes. In fair condition, some small chips, overall toning and minor browning at the edges..